One to one respite generally finishes after your child starts full time school. All the children have an annual review to assess the child’s progress. Little Kites Respite sessions run on Mondays, Tuesdays & Wednesdays, term time only at Kites Corner. Your child will be offered one of these days weekly, the sessions run from 10am till 2.30pm. During the summer holidays your child will be offered two sessions on a Monday. These will be the same time as the term time sessions. 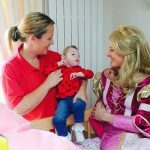 Little Kites Respite is run by our registered nurses, health care assistants & our play leader. Your child will get the opportunity to take part in lots of activities & to spend time in our sensory room, soft play room & sensory garden. Little Kites Respite finishes when a child starts full time school. All the children have an annual review to assess the child’s progress. In conjunction with any weekly respite hours allocated, all children who are assessed as eligible for respite from the James Hopkins Trust are also eligible for overnight respite at Kites Corner. Our new extension was opened in May 2015. We can now accommodate 4 children overnight. We are open for two nights a week. This is a combination of Thursday and Friday night or Friday and Saturday night. Overnight respite sessions will be discussed during the primary assessment. Our overnight respite is for a full 24 hours. Some children have one night but many have two together. You can take up the offer of overnight respite at any time. The children are allocated nights on a rota basis and at present will generally be given a night every 4-6 weeks. If you would like a particular night, for example, for an anniversary or birthday, please let us know as soon as possible & we will do our best to arrange this for you. Holiday respite sessions are for school age children up to their 12th birthday, who have previously received respite from the Trust. We run Holiday respite sessions from 10am till 3pm, on Monday, Tuesdays & Wednesdays, at Kites Corner, in all school holidays except for the Christmas break. During the summer holidays we only offer dates on a Tuesday and Wednesdays. We offer places on a rota system & unfortunately due to numbers are not able to offer every child a place during all the school holidays. We endeavour to offer two sessions per child during the summer holidays. 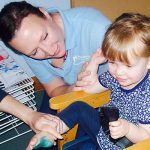 Our play leader organises lots of activities for the Holiday Clubs & all your child’s needs will be met by our nursing team.